Hey, how was your weekend? Ours was pretty darn busy and I'm glad the next three have no formal plans because moving day will be here before we know it. I took off of work on Friday and spent most of the day cleaning and packing. I got a lot done, but it still feels like there is so much more to do. When Craig got home from work, we headed out to dinner at an Indian restaurant. Once our bellies were happy and full of lassis, naan and paneer tikka masala, we ventured down the road to a furniture store we hadn't been to yet. It was really disappointing, so we checked that one off our list. Saturday was dedicated to a bit of packing and cleaning in the morning. I went to my colleague's wedding ceremony mid afternoon and then we headed to the reception later that night. Yummy and beautifully decorated cupcakes greeted us at the table! I enjoyed a pumpkin spice one. My work colleagues past and present! (If you're reading this--hi Erin and Jocelyn). Sunday was supposed to be a packing day, but we ended up going to many furniture stores instead. Post spending nearly two hours at two stores, we were hungry and I suggested Tom + Chee in Elm Grove for lunch! I had a Swiss and cheddar grilled cheese half sandwich on pumpernickel rye and a cup of delicious creamy basil tomato soup. It was exactly what I was craving! 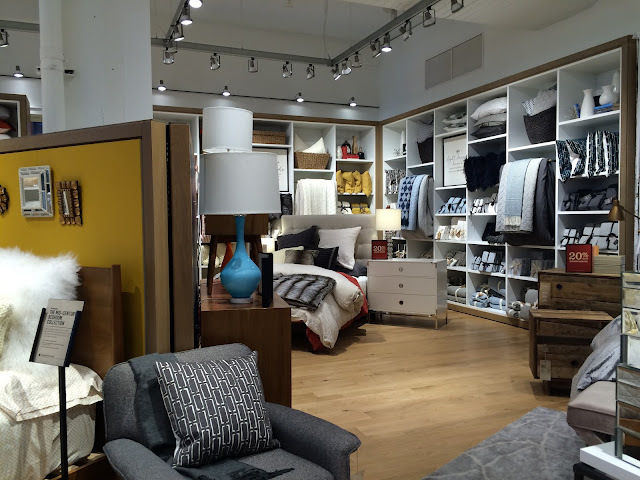 We rested at home a bit, did research on mattresses and beds and then headed downtown to West Elm in the Third Ward. I loved nearly every item I saw (but have to admit that Craig's right--Target's styles right now look pretty darn similar and are a quarter of the price)! They didn't have the bed we found on their website to see in person, but we checked out the swatches for the upholstery. The last stop of the night was the mall to mattress shop again. After numerous models and prices going through our tired brains, we finally decided that Boston Store had the best deal. We agreed to order it, so come mid-November we'll graduate from sharing a puny Double to a King! The same sweet salesman that helped us order our mattress 7 years ago was there and he helped us feel more confident with our expensive decision. One thing off our list, many more to go! Off to get ready for bed! Have a great week. I've been so quiet on the blog lately because we found a house last week, put in an offer and got the accepted offer on Saturday the 3rd! We passed the inspection on Tuesday night and have been cleaning out our house every night and weekend since we know the move is now real. We are supposed to close a month from today! Here are a few interior photos of the new house. I love the current owners' style. Friends and family who know me well also commented that it's very me when they saw the photographs. The kitchen of my dreams! I initially wanted white cabinets, but figured they might be hard to find. Maple was the next best thing. Anything but oak. I am not a fan of the 90's houses with oak trim and cabinets. I'm just happy we don't need to makeover a kitchen because I love everything about this one. Breakfast nook looking into the dining room. Living room. This room will be hard to arrange, but I love the fireplace, rounded doorway and the many windows making it bright during the day. 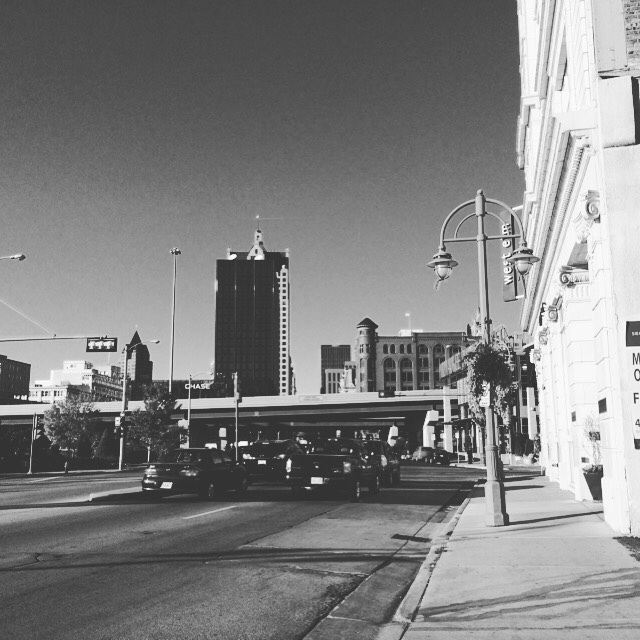 We're moving to a new side of town, which I am ecstatic about since I'm not in love with where we live now. My commute will be about the same amount of time, but more mileage and all freeway. Craig's commute is drastically reduced, which I am happy about. I'm really looking forward to living near lakes, parks with nice hiking trails and our subdivision is right off of a biking trail that hooks up with a bigger trail that offers gorgeous views and hills. A local health market is nearby too, so that'll be cool to shop at! I'm also looking forward to buying all new furniture and accessories. We've been living with hand me downs for years in anticipation of this move and now that it's here, it's so much fun to shop in furniture stores and in Target's home section and see things that match my/our style! I definitely skew a little more modern/contemporary and less traditional in nature. At least I know what I like when I see it! It's kind of nice to move right before winter because I'll have time to shop for things and spend time indoors styling the new house. I might be a bit quiet on the blog again since cleaning and moving is a big priority in the next month, but I'll try to pop in here and there. For those of you who have moved recently--any tips? I have a recommendation for anyone moving or thinking about it soon--listen to the "Things" Invisible Office Hours podcast. It feels good to purge and donate! 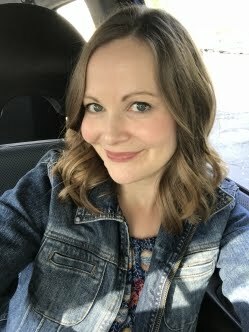 About a month ago, I headed to the salon to get 9 inches off of my hair! I have always wanted to donate my hair and it felt good to finally do it. When I initially decided to go through with the process, I researched all of the different companies to donate to in-depth and discovered that some places charge wig recipients. 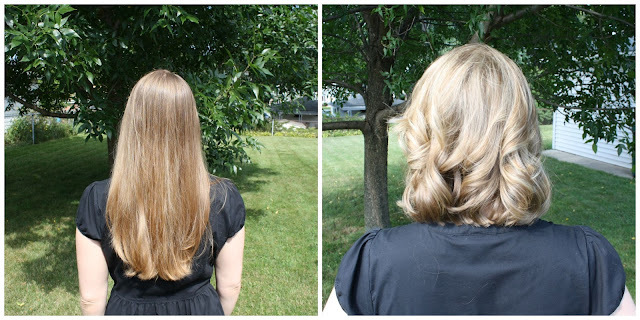 Pantene Beautiful Lengths does not charge, so I focused on donating to them and read all of their guidelines for donating in detail. I grew my hair out for 2 years and three months. I probably got about five small trims during this time. I used lots of deep conditioner twice a week to keep my hair healthy. Favorites include Aveda Deep Reconstructing and Aussie Deep Conditioner 3 Minute Miracle. Air dry your hair as much as possible. For me, this often meant unwanted waves, frizz and an overall look I didn't love, but it was worth it to keep my hair healthy. Use a heat protectant whenever you blowdry, flatiron or curl. I sent mine in with a note on the bag--Craig's Aunt Wanda is battling cancer, so I dedicated my donation to women like her. While I'm loving how easy it is to take care of and dry my shorter hair, I really want to grow it out again for a second donation. I might enjoy it shorter and blonder for a little while and then start the process all over again. 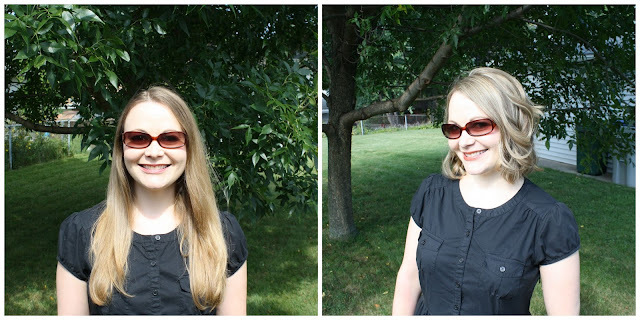 Have you ever donated your hair or wanted to?